Album Review: Owl City "All Things Bright And Beautiful"
"Reality is a lovely place, but I wouldn't want to live there," Owl City's Adam Young sings on his new album, clearly outlining the underlying escapist emotion that inspired the record. The aptly-titled "All Things Bright And Beautiful" is the much-anticipated follow up to 2009's "Ocean Eyes" that shot up the album charts after the massive global success of his hit single "Fireflies." Deeply rooted in hyper-melodic synth pop, Young is a master at crafting pristine and feel-good pop gems. The singer, who is notoriously shy and famously talented, uses his music to paint a whimsical world of butterflies, angels, astronauts, bees and sunny skies that is loaded with an uplifting message of hope and imagination. On "All Things Bright And Beautiful," this modern-day Christopher Cross challenged himself to divert a little from his signature synth pop sound by successfully exploring a few new sonic textures that may surprise some. Good examples are his gentle experimentations with hip hop on "Alligator Sky" (that features Los Angeles MC Shawn Christopher) and the Euro dance pop stylings of "The Yacht Club" that he recorded with Lights' singer Valerie Poxleitner. But Owl City truly shines when delivering delicate and romantic pop tracks like "Galaxies," "Angels" and "Hospital Flowers" that should please the same crowd that embraced "Fireflies" in a such a big way. Very personal is the song "January 28, 1986" that includes a sample of a memorial speech U.S. president Reagan delivered after the space shuttle Challenge disaster. Young was born in 1986 and he wrote the song to convey what it was like to be from the year that was marked by such a big national tragedy. Regardless of his mild sonic experimentations, Young never strays too far from the sound that resonated with so many. "All Things Bright And Beautiful" delivers exactly the dreamy and joyous sunburst pop that his fans crave for. It may at times be formulaic to some, but endlessly imaginative to most. Owl City "All Things Bright And Beautiful" will be available on June 14. Fresh off her tour with Kanye West in Europe, emerging new R&B pop singer Melanie Fiona is back in the States this week to start promoting her forthcoming debut album, titled "The Bridge." Melanie Fiona is a hot new talent you should check out. Listen for example to her single track "Give It To Me Right" that features a stellar vocal performance by a confident Fiona. Her voice glides soulfully over a throwback beat that is backed by a sample of The Zombies’ classic “Time of the Season." Born to Guyanese immigrant parents and growing up in the inner city of Toronto, Fiona was surrounded and inspired by music ever she was a little kid. She started writing songs and was introduced to her manager in her late teens who helped her start a professional songwriting career. Things changed when she met Andrea Martin who is known for penning hits for En Vogue, Angie Stone and Leona Lewis’ recent hit “Better in Time." The two struck an immediate connection and started working material for Fiona's own album, which resulted in her forthcoming debut LP. Other collaborators on the album include UK producers Future Cut, Vada Nobles (of Lauryn Hill fame), The Stereotypes, Natasha Bedingfield-collaborator Peter Wade and Salaam Remi, known for his work with Amy Winehouse and Nas. What grabs me about Fiona's music is that she totally makes you feel the music - all the way, from your toes up. It's what good soul music is supposed to do. Check out "Give It To Me Right," and let me know what you think. Download Melanie Fiona "Give It To Me Right"
Album Review: Anouk "Who's Your Momma"
If there's one thing you should know about Anouk, it's that she tells it like it is. "If you need a servant go find someone else," she lets people know on "If I Go," a track from her new album "Who's Your Momma." In her personal and professional life, Anouk has always refused to play the victim or have people take advantage of her. Instead, the singer turns her frustration and disappointment into strength and confidence, which gives her music an assured sense of self that is inherently rock 'n roll. The big question now is if "Who's Your Momma" will finally give Anouk the attention stateside that many believe she deserves. She had a tremendous shot at fame in the U.S. back in 1998, but her headstrong ways got her into a huge argument with Sony Music boss Tommy Mottola. The screaming match between the music mogul and the aspiring international superstar led to the immediate cancellation of Anouk's launch in North America. With "Who's Your Momma" she opens the door once again for commercial success outside of Europe. It is an album that features a slick sound that is decidedly international. Plus, her powerhouse vocals can easily compete with the voices of the best rock singers in the business. The question remains, however, if she is willing to mold her act to fit the cookie-cutter expectations of many American listeners. After the release of her last album "Hotel New York" in 2005, Anouk took some time off from the hustle and bustle of the music biz to take care of her three young kids. Earlier this year, she felt the time was right to start recording new music again. She traveled to Los Angeles to work with master producter Glenn Ballard (Alanis Morissette, Annie Lennox) who produced this entire new record. The songwriting was in the very capable hands of Anouk herself together with long-time writing partner Bart van Veen and her husband Remon Stotijn. The album kicks off with the blazing rocker "If I Go" that goes well with Anouk's black & white portrait and gun that is pictured on the CD sleeve. She is fed up and gives her lover an ultimatum. "You need to take a good look at yourself 'cause I'm about to close up shop. If you need a servant go find someone else. It's time to step up," she sings. It is followed by the playful "Might As Well" that displays Anouk's incredible vocal control. She twists and tweaks her vocal chords in a quirky, yet razor-sharp manner that totally wowed me the first time I heard it. Glenn Ballard wrote the excellent ballad "Make It Rain," one of the disc's centerpieces with its steady verses that lead up to a climatic chorus that is clearly written for prime time. In typical straight-up Anouk fashion, the singer gives listeners her piece of mind about modern-day idiosyncrasies on the bluesy "Modern World." She sings, "These days adoption is a hot thing. You can get a child for nearly nothing. You take them home to a nanny. Buy off your guilt with toys and candy, but all the money that you work for girls, can't compare it to love boys. There's only one thing they can't fix. No I won't let your be mislead. And that's the hole in your head." Anouk shows off more of her spunky attitude on the album's first single "Good God," a ''60s style rock joint packed with a buzzing horn section that could easily be from the hands of Mark Ronson or even Phil Spector. An obviously single choice with a glowing, international appeal. More ballads follow from the reflective "I Don't Wanna Hurt" and "Daze" to the heartfelt "If You Were Mine" that fully relies on Anouk's emotive vocals and lead piano. Review: Will.I.Am "Songs About Girls"
Hip hop producer Will.I.Am is on the pulse of what's hip and happening. Not only did he turn the Black Eyed Peas and Fergie into huge global brands, he also helped to shape the sound of countless others artists including John Legend, Pussycat Dolls and Mary J Blige. His third solo album "Songs About Girls" is a good example of his eclectic musical taste and his knack for working the studio soundboards. The record is a refined blend of pop and hip hop with touches of rock, electronica and even bossa nova. That's hardly surprising. It comes from a man who adores Sergio Mendes, wears Burberry ivys and wrote "My Humps," so you know that you can expect something that doesn't just fit one particular mold. Hip hop has always been a producer's medium and Will.I.Am takes full advantage of that by cutting 'n pasting genres, alternating groove tempos and adding lots of bells and whistles. But it is never too brash or over the top. He practiced enough restrain to ready his music for mass consumption while still being musically adventurous. Recorded in the United States and Brazil, the album deals with "the girls" that inspired him over the last few years ranging from the ladies that raised him, dated him, flirted with him and broke up with him. He keeps his rapping to a minimum and talk-sings his way through the album. Don't expect any cameos from Fergie, Nelly Furtado or Justin Timbaland on this record. "Songs About Girls" is not a big star affair. 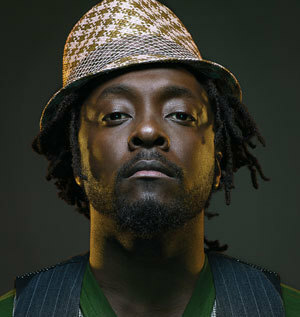 It is all Will.I.Am with the exception of Snoop Dogg who gets a few lines on "The Donque Song." Highlights include the mellow electro-funk of "Invisible," the bouncy "Get Your Money" and the sun-baked, Daft Punk-esque "Impatient." He even includes soaring rock guitars on "Dynamic Interlude" that is reminiscent of Prince's sound in the '80s. The single "I Got It From My Mama" is the only track that mimics the sound of the Black Eyes Peas with a snappy guitar bit and female vocals. Will.I.Am even craftfully includes a sample of Electric Light Orchestra's "It's Over" on the soulful album opener "Over"
Will.I.am's "Songs For Mama" is easily one of the best pop records of the year with a compelling sound that is both hit-worthy and innovative.